It reminded me to share some interesting bits and bobs related to work. The below isn't my full-time job by any means, but it's fun that I have on the way. The hobby project I invested most time on in the last year was the Twitter mention constellations. 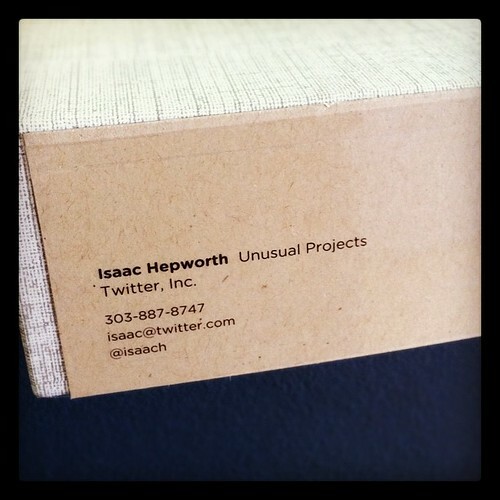 I learned a huge amount on the way; I realized how much goes into taking a hack which works on one's own machine to one which works for others; and I'm excited that a 4-foot-square mounted version of my work is on the wall at Twitter HQ. 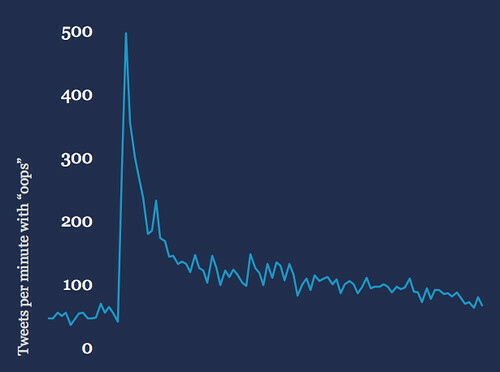 Sad times, no doubt, but it's nonetheless fascinating to see the data behind such phenomena. I was very impressed by SocialFlow's detailed work on the topic too. 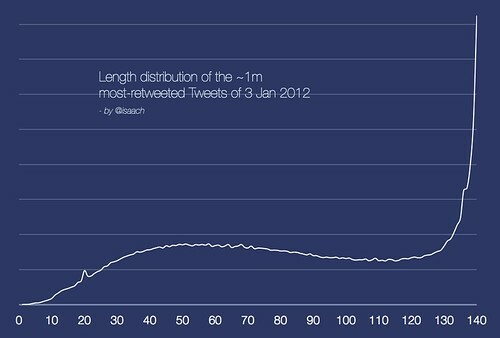 in case you were wondering how long you should make your tweets for maximum engagement. 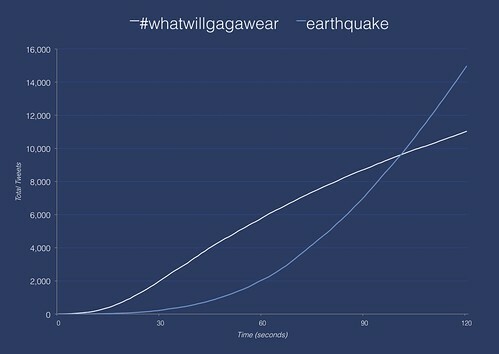 which (see detail on Flickr) shows the spread on Twitter of an on-air hashtag versus news of a seismic event. for which the context can be found on YouTube. Isaac, already noted the cards as one of the cooler ones out there. :) The constellation work fascinating. 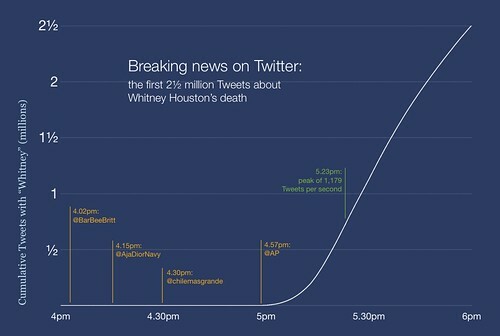 The Whitney one an example of Twitter's remarkable hold on the Live. If newspapers are dying will also destination news sites like CNN?